*Please allow 1 business day turnaround time. How do I change my forwarding numbers? Are my calls being forwarded after hours? If you would like us to change it please open a ticket by filling out the form on top or by sending us an e-mail to support@opusvo.com, including the phone number calls should be forwarded to and the change will take effect by the next business day. How do I change my e-mail address for voice mails and faxes? Where can I find my full mailing address, including my mailbox number? How do I add my company name & number to the telephone directory listing? 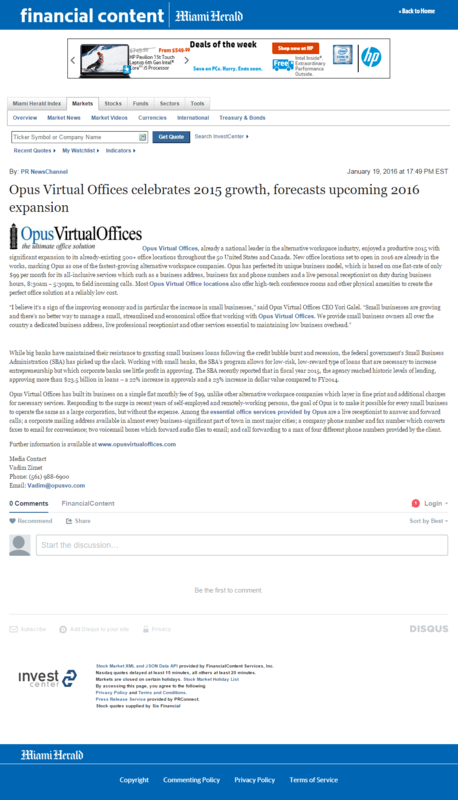 Please fill out the attached ‘Opus Add to 411 Directory’ document you received with the ‘Welcome to Opus Virtual Offices’ e-mail. You may fax it back to us at 561.482.9403 or e-mail it to support@opusvo.com . Once we receive that document back from you we will add your information to the telephone directory listing. Please allow 2 weeks for your listing to go live. How will the receptionist answer my incoming calls? How is my voice mail greeting being recorded? Thank you for calling ‘Your Company Name’. No one is available to take your call at this time, however your call is important. Please leave your name, telephone number and a brief message and someone will return your call. Thank you for calling. If you would like us to customize these greetings please open a ticket by filling out the form on top or by sending us an e-mail to support@opusvo.com including a new script and the change will take effect by the next business day. Is the live receptionist able to announce the caller before transferring (supervised call transferring)? We currently do not offer this feature but we are working on it. It will be available soon at an additional monthly charge. 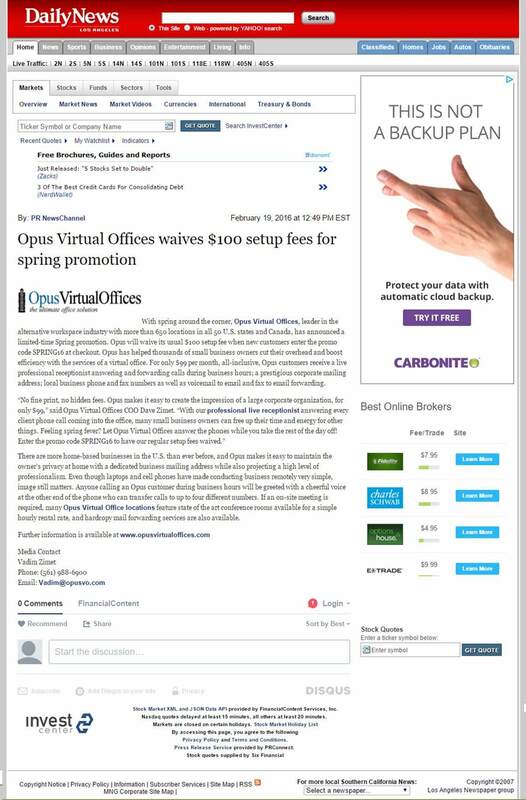 If you are interested in this feature please open a ticket by filling out the form on top or by sending us an e-mail to support@opusvo.com and we will keep you posted as soon as the feature is available. Do I have to get the mail forms notarized by a notary public? Can I change my virtual office address? 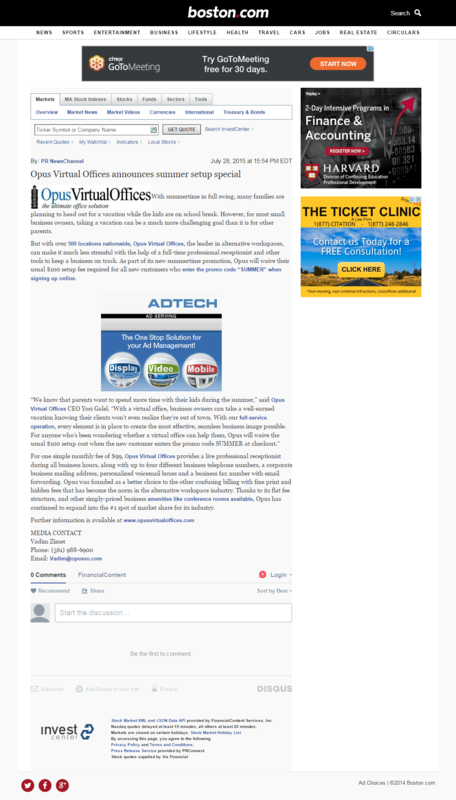 You may change your virtual office address at any time, a $30 service fee will apply. Also keep in mind that if you are switching to another city or state you will have to choose new phone numbers. How do I change or update my credit card info that is being used for my services?